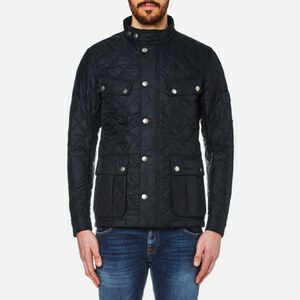 Men’s ‘Ariel’ black quilted jacket with a funnel neck and silver-tone buttons from British heritage label Barbour International. 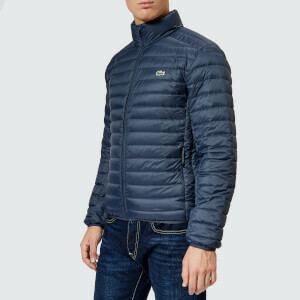 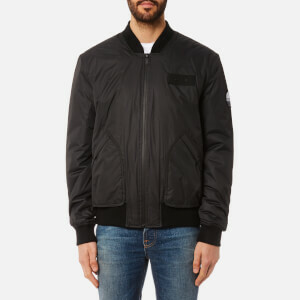 Crafted from a robust woven cotton fabric, the jacket features a zip-through front with a protective stormflap, a button fastened throat tab, and two pairs of symmetrical buttoned pockets to the front. 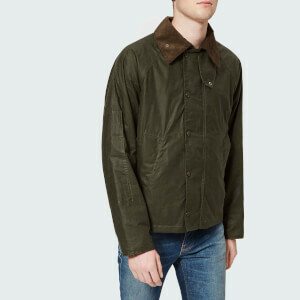 Complete with buttoned cuffs, engraved branding to the buttons, and a tonal woven Barbour International brand tab stitched to the right sleeve.